Shipping firm presented with certificate in Pireaus. Arcadia Shipmanagement Co Ltd is the first company to receive verification from classification society DNV GL for compliant monitoring plans for their whole fleet under the new European Union (EU) Monitoring, Reporting, Verification (MRV) regulation. The company was presented with a certificate recognizing the achievement at DNV GL's Piraeus office. "We are very proud to be the first shipping company to have been awarded the verified EU MRV management plans, for our fleet, by the world's leading classification society, DNV GL," said Mattheou Dimitrios, Managing Director of Arcadia Shipmanagement Co Ltd. "This verification marks the first milestone for smooth compliance with the EU MRV regulation." "At Arcadia we are committed to providing safe and reliable transportation of oil by sea and continue to broaden the values and ideas that build safety and environmental excellence, applying effective management systems to comply with incoming regulations to consistently achieve reliable and environmental incident-free performance," Dimitrios added. The EU MRV regulation entered into force on July 1, 2015, and it requires ship owners and operators to annually monitor, report and verify CO2 emissions for vessels larger than 5,000 gross tonnage (GT) calling at any EU and EFTA (Norway and Iceland) port. Data collection takes place on a per voyage basis and starts on January 1, 2018. The aggregated ship emission and efficiency data is to be published by the European Commission by June 30, 2019, and then every consecutive year. 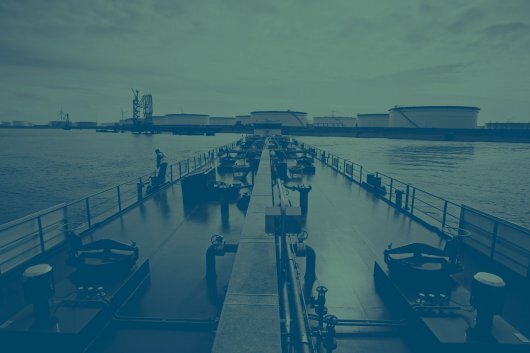 "We would like to congratulate Arcadia Shipmanagement for being the first to receive EU MRV management plan verification, for their whole fleet, by DNV GL. It demonstrates their willingness to ensure that their vessels are out in front of the market in terms of compliance and in their sensitivity to the environment," said George Teriakidis, Business Development Manager, DNV GL - Region South East Europe & Middle East. "The EU MRV is the first of many regulations that will require more of the shipping industry in terms of data collection and sharing. We have invested in developing our competence and services for this new regime, including putting in place a set of digital solutions that will make compliance as simple and transparent as possible for our customers," he added. Image: George Teriakidis, Business Development Manager, DNV GL - Region South East Europe & Middle East (left) and Andreas Pagalos, Senior Vice President and Area Manager for East Mediterranean (right), present Mattheou Dimitrios, Managing Director of Arcadia Shipmanagement Co Ltd. (middle), with the certificate.